Even a Public Accounts Committee report revealed that many are "homeless or having to rely on family members." The promised compensation scheme is yet to start and the urgent hardship fund took eight months to set up. The treatment of the Windrush generation is a ruthless example of hostile Tory and Blairite policies that affect the lives of the black and Asian workers in Britain. Black and Asian workers suffer on average higher unemployment and lower wages. Poverty and prejudice trap many workers in unsafe housing - exemplified by the Grenfell Tower atrocity. After over ten years of austerity and cuts to our services - ordinary people continue to pay for the crisis caused by bankers and bosses. Former Tory prime minister David Cameron described refugees escaping war and extreme poverty as a "swarm". When Theresa May was home secretary, she pumped public money into vans to drive around telling migrants to "go home". 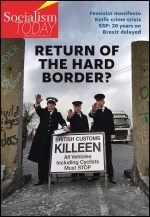 The Blairites supported the creation of the hostile environment. In fact, a Blairite, Alan Johnson, first used the phrase in 2010, before the Tories. Far-right groups like the Football Lads Alliance have further fuelled this propaganda while trying to tap into genuine anger - which we all feel - against cuts to jobs and services and deteriorating living standards. Their street demonstrations raise alarm and fear among ordinary people. The far-right needs to be exposed and opposed. They have no place in our communities. The Socialist Party argues that capitalism is the root cause of racism. It's used to divide the working class. The fight against racism must be closely linked to a united fightback of all workers against cuts to our vital services. We demand a general election now so a Corbyn-led Labour government with a socialist anti-austerity manifesto for the millions and not the millionaires can be elected. 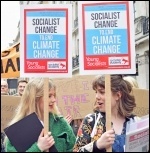 The Socialist Party fights for socialism - a different world based on public ownership and democratic planning of the wealth in society, not the enrichment of a few individuals - a society free from exploitation and oppression. The writings and speeches by Leon Trotsky, one of the leaders of Russian revolution, on this topic are brought together in 'Fascism - What it is and how to fight it'. In this pamphlet, Trotsky carefully analyses how fascism came to power and why the working class is the only force in society capable of defeating it. It is imperative that socialists discuss how any possible growth of the far right can be fought. 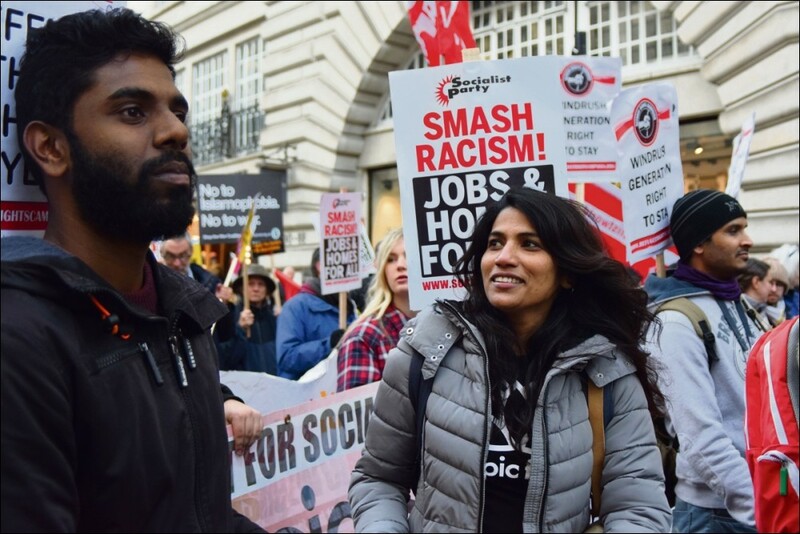 This event - Activist with Ideas, hosted by London Socialist Party - will discuss questions like... will the working class be able to put their stamp on the politics of tomorrow and prevent the rise of the far right? And is it necessary to link the fight against racism and fascism with the fight for a socialist alternative to the capitalist system?